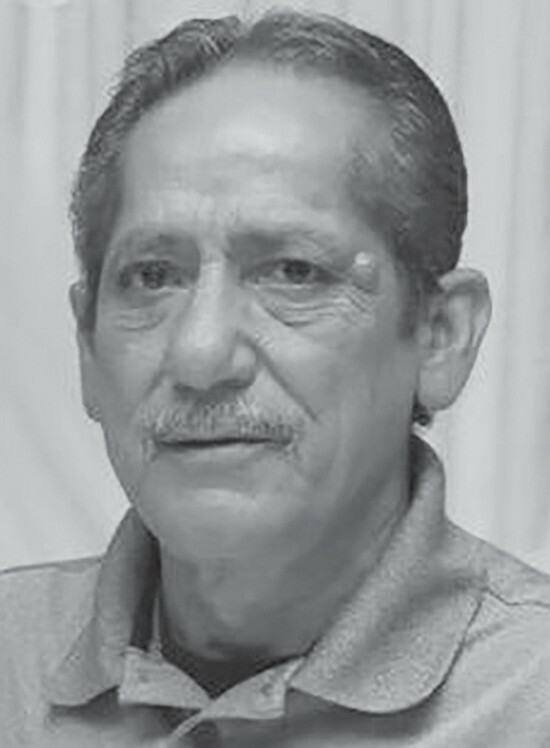 Alfredo G. Moreno,66 passed away Wednesday, January 10, 2019. He was born in Leming to Alberto and Jesusa (Galvan) Moreno. He is preceded in death by his parents, sister Elvira M. Estrada, and brother Guadalupe G. Moreno. Alfredo is survived by his wife Jean Prouty Pena Moreno of San Antonio; Alfredo P. Moreno, Jr. of San Antonio; daughters Teresa D. Moreno of San Antonio, and Dorothy A. Ramirez and husband Alexander of Kyle; brother Alberto G. Moreno, Jr. of San Antonio; sisters Janie Suarez, Josefa “Josie” Bueno and husband Lupe, Olga Moreno and Roy Sanders all of San Antonio, Consuelo “Connie” Esquivel and husband Tony of Houston; grandchildren Alexis Ramirez, Dillion Ramirez, Alexander Ramirez, Jr., Destiny Puente, Diamond Rodriguez, Bryanna Moreno, Alfredo Moreno, III, and Alyssa Moreno. He is also survived by numerous nieces and nephews. Visitation was Sunday, January 13 from 2 to 9 p.m. at the Hurley Funeral Home Chapel in Pleasanton with a rosary that was recited at 7 p.m.. A Funeral Mass was celebrated Monday, January 14 at 10 a.m. at Our Lady of Guadalupe in Leming. Interment followed at St. Joseph Cemetery in Leming.